5 out of 5 based on 43 ratings. Introduced in 1998, the Rainbow E-2 (e SERIES™) was a complete change for Rexair and their customers. With a complete makeover from top to bottom, this model set the stage for the start of a new era. Some reference numbers that you may find on your Rainbow vacuum cleaner. R9402 is the item number to the "Warning / Caution" sticker on the side lens. R5104 references the clear "Double Insulated" sticker located on the bottom. R7866 is the item number to the main sticker on the version 1 and early version 2. An item number of R12041D is for later second version. This decal has the model number as well as voltage information. We also offer free technical support on all purchases so you can count on us to be there if you run into any questions. 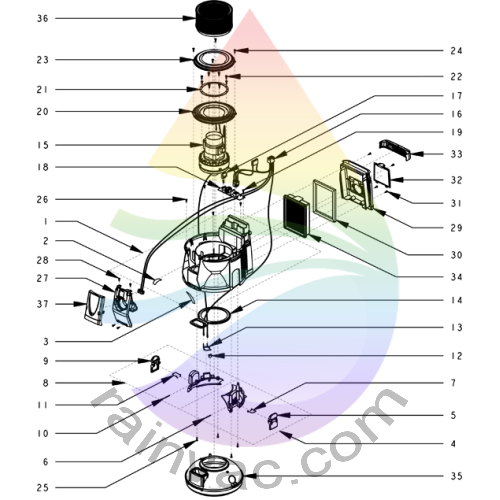 Below you will find images breaking down the complete E-2 (e SERIES™) version Rainbow. Click on each area of the system to get a more in-depth view. Effective serial number 9000000 with a start date of August 5th 1998 through serial number 9999999 and an end date of September 3rd 2003. This category covers the complete Rainbow (e SERIES™) version two cap cover assembly that includes the main power switch, power cord, and side lens. 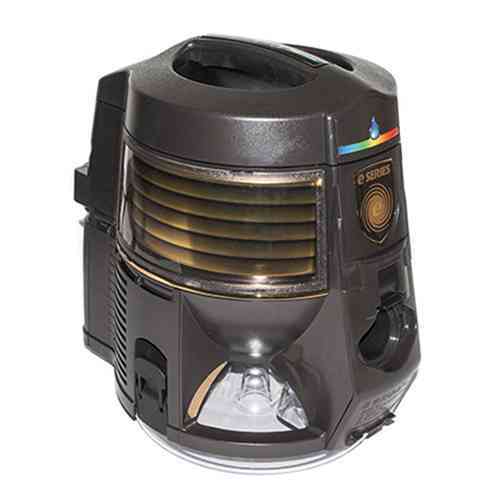 This category covers the complete Rainbow (e SERIES™) original version cap cover assembly that includes the main power switch, power cord, and side lens. 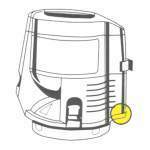 This category covers the complete Rainbow (e SERIES™) first version main housing that includes the face plate, rear cover assembly, latches, and HEPA filter. This category covers the complete Rainbow (e SERIES™) version 2 face plate assembly as well as the rear cover assembly. This category covers the complete Rainbow (e SERIES™) version 1 face plate assembly as well as the rear cover assembly. This category covers the complete Ametek AME motor assembly that includes the bearings, gaskets, separator, field, and carbon brushes. Please look at the image to the left as it will explain in detail the difference in GSE and AME motor design. If you are replacing the entire motor, you will receive the current revision which is designated the "E" version. This new motor design has several improvements in performance and durability. This category covers the complete GS Electric / Ametek GSE motor assembly that includes the bearings, gaskets, separator, field, and carbon brushes. This category covers the complete Rainbow e SERIES™ standard hose assembly that includes the hose, coupling kit, latches, seals, and screws.